Scatter-Brain Concepts (SBC) is a partnership that offers original guitar design and custom made electric guitars. We are Stuart Robson and Stephen Hobson, based in London. SBC was Conceived by myself, Stuart Robson, a London based product designer. The core concept was simple; lets take an electric guitar, strip it back to its essentials and rebuild it. The popular electrics of today are based on guitar designs from decades ago, beautiful and stylish guitars, but guitars based on flawed principles, primarily; electric guitars have to mirror acoustic guitars and are designed for mass manufacture, over playability. Guitars have to be made of select woods, bodies have to be of a certain size, weight and shape, etc. I wanted to look at everything that made an electric guitar sing, couple it with everything that made a guitar fun to play, and I guess the traditionalist in me wanted a guitar that was good to look at! With time, a little money and a lot of hard work, our flagship SB3 was born! 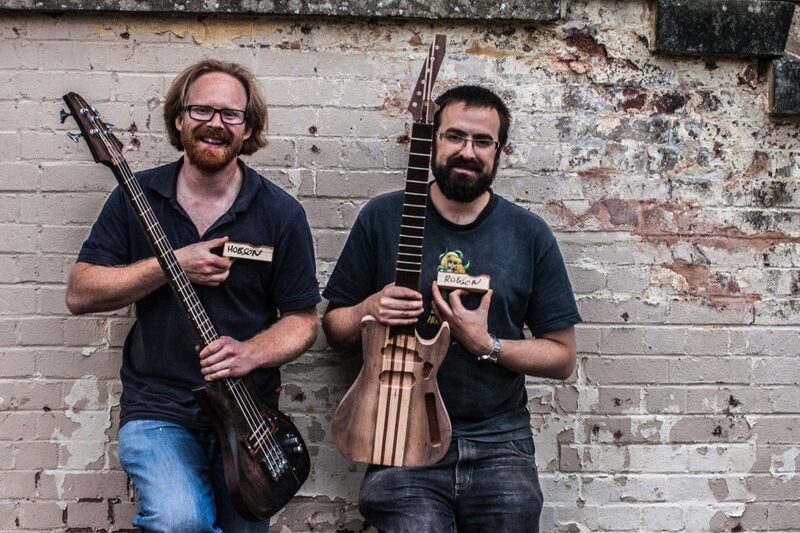 SBC, has been recently joined by Steve Hobson, an engineer and another passionate guitarist (and the owner of the worlds first left handed SB3), marrying my own hair-brained ideas with engineering expertise! To get a feel for what we do, why not check out our Original Models!